Mentally ill patients idle for hours and even days in emergency rooms waiting for treatment, while patients with medical problems rarely experience these holdups, according to a study of 10 Massachusetts hospitals released Wednesday. Patients who arrived at the emergency room with a medical issue and then required admission to the hospital were there about four hours. Patients with mental illness, however, routinely were stuck for 16 to 21 hours on average waiting for a spot in a psychiatric hospital or unit. 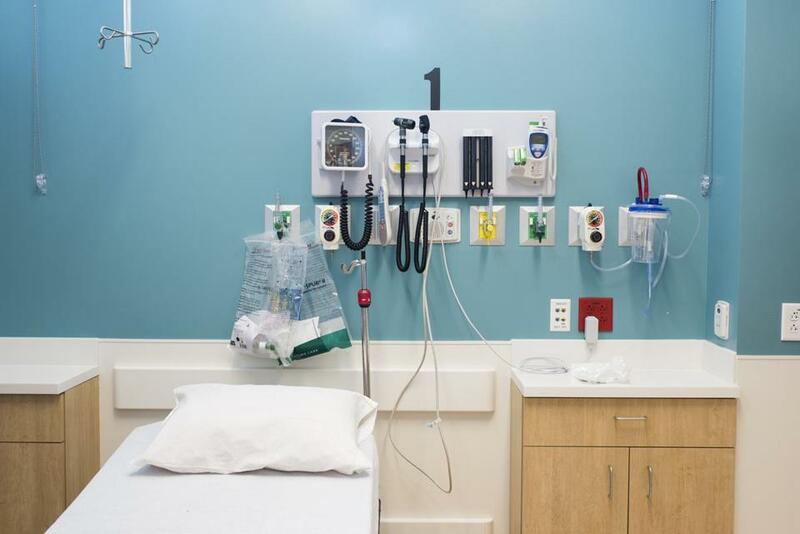 The poorest patients — those on Medicaid, the state insurance program for the poor and disabled, and those without any insurance — waited the longest, despite rules prohibiting hospitals from discriminating against Medicaid patients. The study, published online in the Annals of Emergency Medicine, is part of a growing body of evidence revealing deep inequalities in care for patients with medical illness when compared with those with mental health problems. This is particularly true of mentally ill patients who arrive in the emergency room in crisis due to a psychotic episode or suicidal urges and require hospital-level care. The study did not explore the reasons for these differences, but doctors say the tight supply of psychiatric beds contributes to the problem, as do restrictions put in place by insurance companies on mental health care. Closing psychiatric hospitals seemed humane, but the state failed to build a system to replace them. Families are living with the tragic consequences. The hospitals that participated in the research were not identified. “While the notion of mental health parity has received some attention in recent years, the inequity in care for this particularly vulnerable group of patients persists,” Dr. Mark Pearlmutter, lead author of the study and chairman of emergency medicine at Tufts University School of Medicine in Boston, said in a statement. The physicians decided to look deeper to see whether the delays vary depending on insurance, and to identify specific bottlenecks, which can cause incredible stress for patients and their families. These holdups in emergency rooms often are referred to as “boarding’’ — the time from when the decision is made to admit a patient to the hospital to when they are actually admitted. Boarding times for mentally ill patients with private insurance was eight hours on average, while it stretched to 12 hours for Medicaid patients and 14 hours for the uninsured, said Dr. Kristin Dwyer, a coauthor who is now a doctor in Rhode Island affiliated with Brown University. Mentally ill patients covered by Medicaid, called MassHealth, were more than twice as likely to experience exceptionally long delays — 24 hours or more — than those with private insurance. The uninsured were almost three times more likely to wait at least a day. Dwyer said these disparities held up even when researchers accounted for aggressive behavior, a prison record, or other factors that can make psychiatric hospitals and units reluctant to accept patients. “If you have Medicaid, it’s much more difficult for you to get a mental health bed,’’ Dwyer said. The study did not examine the reasons for this, but some emergency room physicians said the demand for beds is so strong that hospitals often have a choice of patients — and might choose those with insurance plans that pay the best. “If you have no insurance or insurance that is going to pay less, you are not going to be as competitive for getting that bed,’’ Dwyer said. She said “emergency room boarding of behavioral health patients has been a longstanding issue across all payers that the state is actively working to address.’’ Officials have been monitoring the situation for the past nine months and convened a task force to propose solutions. The group plans to report back to health and human services officials next month. The study included 871 patients who had a mental health evaluation in one of 10 Massachusetts hospitals during a two-week period in 2012. During those two weeks, patients who came into the emergency rooms and needed to be admitted to the hospital or transferred to another hospital for a medical issue spent 4.2 hours and 3.9 hours, respectively, in the emergency room. Patients with mental health needs spent 16.5 hours for an admission to the hospital and 21.5 hours for a transfer to another hospital. The long delays are harmful for patients and caregivers, emergency room doctors and advocates for the mentally ill said. For children, for whom there are fewer psychiatric beds, the holdups are especially long and arduous, sometimes stretching into weeks. Mentally ill patients generally get medication in the emergency room, but they do not usually receive active treatment with a psychiatrist or social worker or the benefits of group therapy or instruction on managing their illness. Boarding also is hard on staff, many of whom are not trained to care for psychiatric patients. At Mount Auburn Hospital in Cambridge, doctors said the issue appears to be worsening. The emergency room saw 1,844 patients with psychiatric diagnoses in the year ending June 30, 2012, according to a top emergency medicine doctor at the hospital. That grew to 2,081 patients for the 12-month period ending June 30, 2015. At the same time, those patients waited in the emergency room far longer. The average stay for children grew from 11 hours to 18 hours, and from eight hours to 11 hours for adults. Dr. Jennifer Brown, associate chair of psychiatry at Mount Auburn, agreed that trying to get a patient admitted to a psychiatric hospital or unit “is quite cumbersome.’’ Emergency room staff do a statewide bed search, and if they find an open bed, they fax information to the hospital about the patient’s medical condition and history. Some hospitals will turn down a patient who is too violent or has other disorders, such as autism. If the hospital accepts the patient, then the insurance company decides whether it will pay for a stay there. “We may have wait three to four hours for them to get back to us,’’ Brown said. In a recent poll by the American College of Emergency Physicians, doctors agreed mentally ill patients were being stranded for days in emergency rooms. “Nowhere else in medicine do we have the sickest patients staying in the emergency room the longest,’’ said Dr. Suzanne Lippert, a physician at Stanford in California who has also researched the issue.